Product & Service Description of HARISON AGENCIES. EAC INDUSTRIAL INGREDIENT ( INDIA ) PVT. Identify potential customers to search for untapped markets, and expand their services to importers and exporters. Insight into the target organization's global business activity.HARISON AGENCIES VISCOSE SPONGES (61029611) AZELLA 60 VRAC (END USE FOR CLEAN ING OF PLATES OF PRINTING MACHINE) BENO 575801 and Import and export customized information at your fingertips. Global business information that focus on meeting your unique needs. 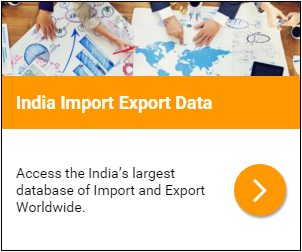 HARISON AGENCIES VISCOSE SPONGES (61029611) AZELLA 60 VRAC (END USE FOR CLEAN ING OF PLATES OF PRINTING MACHINE) BENO 575801 and Find Buyers Suppliers of Your Products Global Export Import Shipment Data of India With trade data optimize the supply chain by identifying buyers and suppliers in your industry.HARISON AGENCIES VISCOSE SPONGES (61029611) AZELLA 60 VRAC (END USE FOR CLEAN ING OF PLATES OF PRINTING MACHINE) BENO 575801 and .